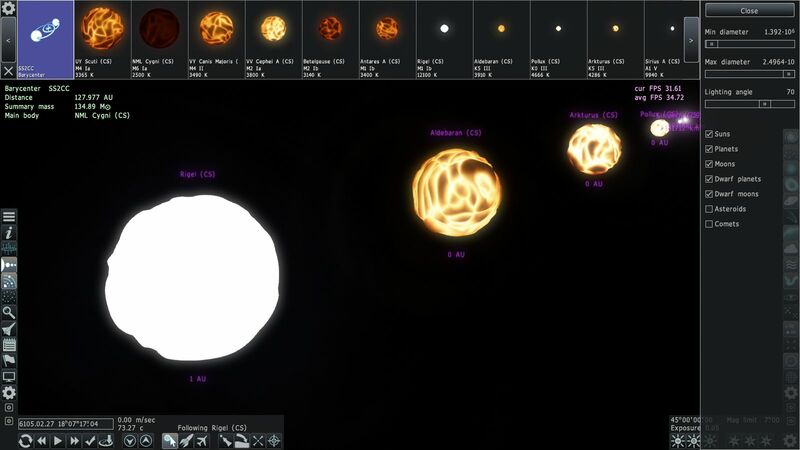 Forum » SpaceEngine » General Discussions » Is it possible to compare distant objects side by side ? Is it possible to compare distant objects side by side ? Hi. 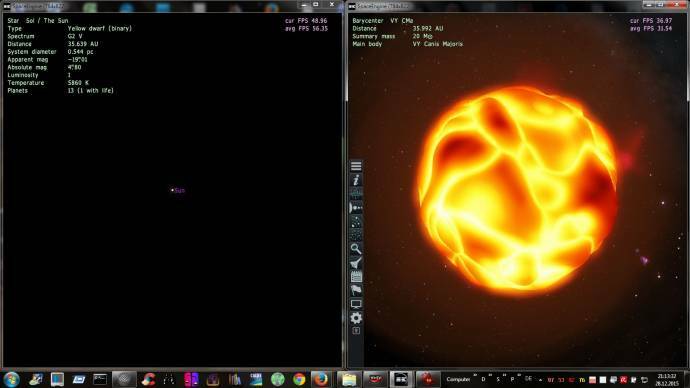 I would like to know if there is any way to put two distant objects side by side so we can compare their appearance. 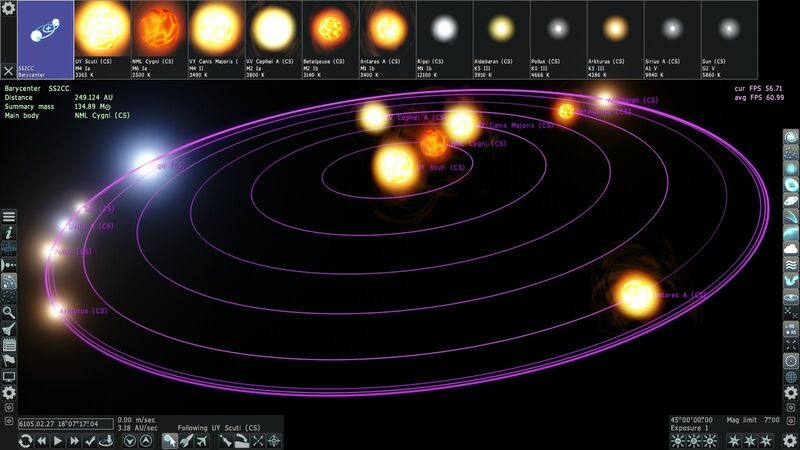 For example, I would like to put the sun by canis majoris. 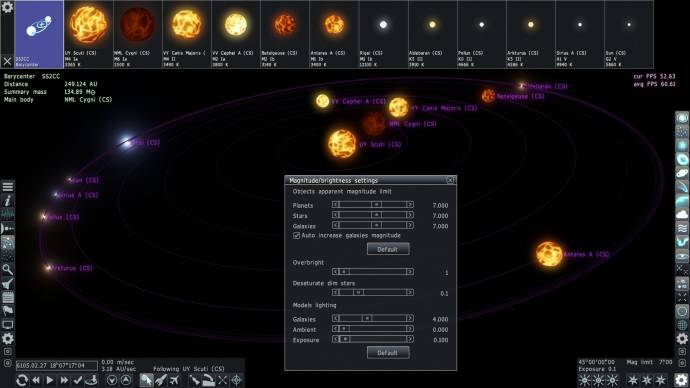 Is such a thing possible ? No and Yes. No direct method, but you can write a script like this. 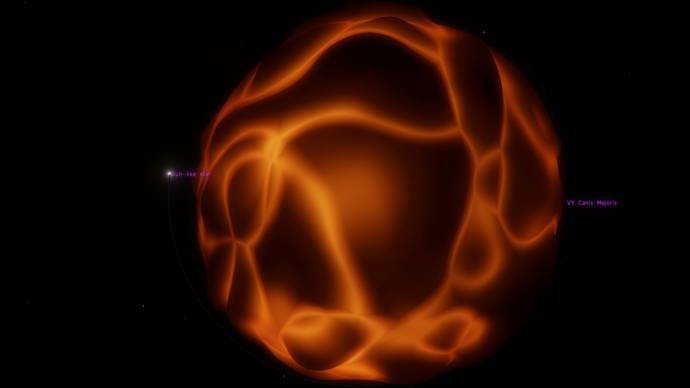 This sets a sunlike star next to VY Canis Majoris. Of course, the system chart can be accessed with the 0 key. I remember in Celestia that you could open a side by side screen which was great for comparisons. 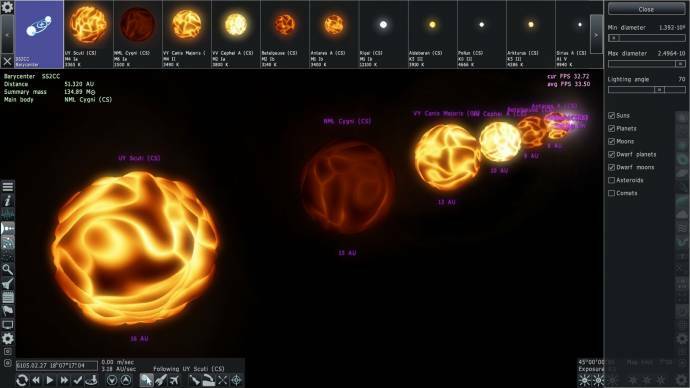 I would love to see something like that implemented in Space Engine. But that does not make a reasonable size comparison. However, you could open two instances of SE.